12/20/18 - Dr. Ken Kronhaus - Warning! Beware of Sock-Sniffing! 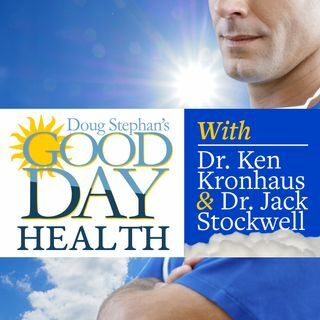 Host Doug Stephan welcomes Dr. Ken Kronhaus, who outlines the genetic changes that occur to sperm, with the use of Marijuana. New studies show that Depression and Anxiety offer a similar effect of smoking to your overall health profile. New information shows that the use of E-Cigarettes is skyrocketing with children. Next Dr. Ken shares information about relief from Hot Flashes. Danger, danger! beware of Sock Sniffing. Plus, lots more information about maintaining your Good Health.